To talk about healthy smoothie recipes or healthy smoothies is somewhat tautological. By their nature, smoothies are generally healthy because they are rich with vitamins and minerals your body needs to function properly. But, not all smoothies are created equal. Some smoothies are healthier than others. 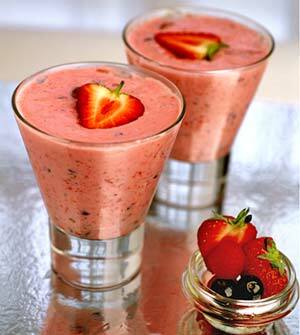 Our collection of healthy smoothie recipes contain only natural sugars and low amounts of fat. They are chosen because they are particularly healthy and beneficial for your immune system.